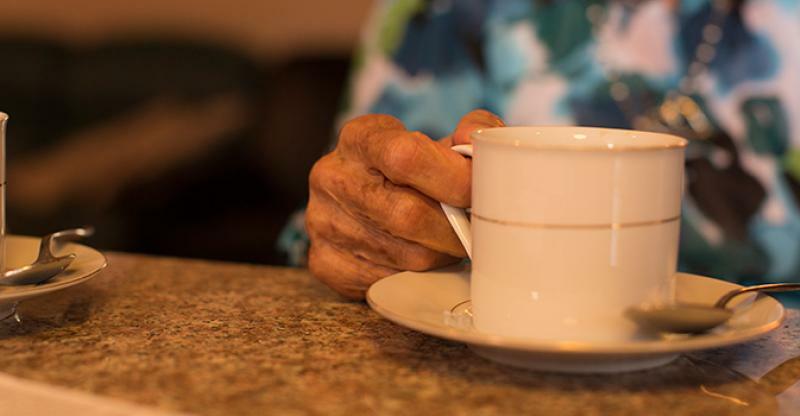 This article was written by Flora Torres, a Care Manager for Caregiver Homes. My mother had a double stroke 8 years ago—she had one in her home, and then one in the emergency room after waiting many hours to be seen. The first stroke made her speech difficult; with the second, she lost her ability to speak completely. The night before she told me she was having a bad headache. We had just had a great day of shopping. She asked me to spend the night at her house so I wouldn't have to drive home. It wasn't a long drive home, so I decided to leave. I still wonder what would have been different if I had stayed with her. I carry that with me. My mom was always happy and active, always full of energy. She was a stay-at-home mom. When we moved here from Puerto Rico, she never learned to write in English—and the little she did know was picked up from her children. Now being unable to speak or write, it has been so difficult for her. You can see her frustration. She breaks down, and it breaks my heart. Every time I visit her, I always pause at her door and wish that when I open it, she will be able to talk. I learned from the doctor that the part of her brain that registers information died. The experience devastated me, and brought me straight back to my father. I lost my father 16 years ago to Diabetes; it was a slow and painful death. He had appointed me as his proxy, and I had to make the difficult decision to have his legs amputated. I felt guilty that when he would get better, he would be upset with me for making the decision. He did not get better. What if I had asked my mom more questions that night? What if I had stayed with her? She was not exhibiting the common signs of stroke—numbness or high blood pressure. These are questions I wrestled with, and still think about. There would have been nothing I could do. It was out of my hands. I could not have prevented it. It took me many years to come to terms with that. My mom was not an affectionate person, but we knew she loved us. Now, in her current situation, she will hug us; she will kiss us. She will tell you she loves you. As children, we always want to make our parents proud. When the roles switch, and the children support their parents, it’s complicated. My mom never expected us to be cleaning for her, or helping her bathe and get dressed. It makes her feel embarrassed. But she knows we are there for her, and keeping our family together is important to her. Guilt is an individual journey, but what has helped me is knowing that she is still here. I can hug her. I can still sit next to her on the couch and watch her favorite shows with her. My experience with my mom makes me more compassionate in my work. I felt guilty—I sometimes still do. But every day, I choose to give her my love.